I'm gonna start this post the way Chelsea starts her stories... Long ago, in a faraway land (actually , just a couple hours south in St. George), there was a lovely girl named Karie who opened an Etsy shop called Desert Twig. Her Etsy shop was truly magical, for only one possessed with magic could produce such beautiful wood work. Annnnnnd that's as far as my imagination goes in making this into a fairy tale. Haha! My creative juices were sucked dry the moment I put my kids to bed. But seriously, guys. 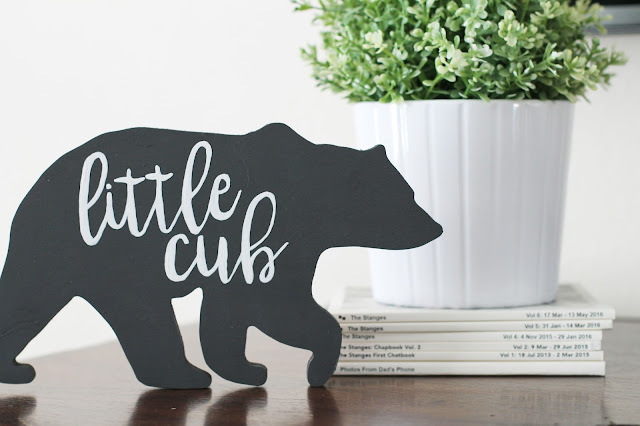 Look at how adorable this is! I found Karie on Instagram a while back and totally fell in love with her work. 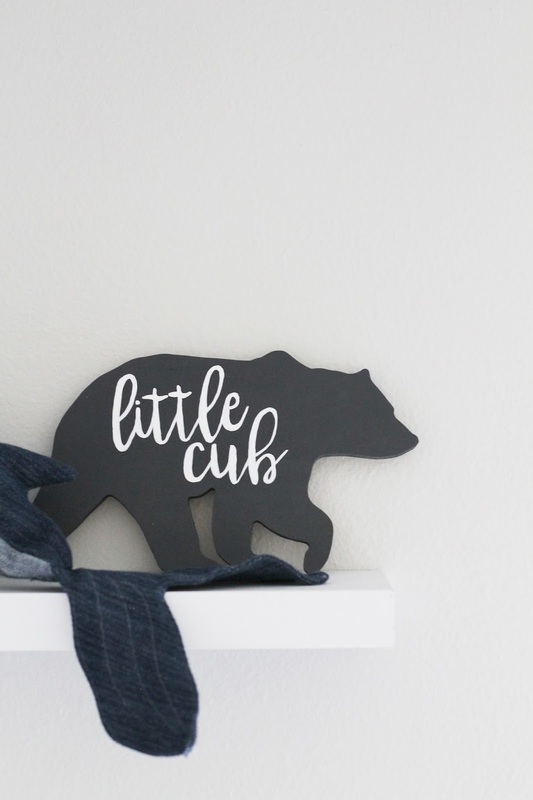 When she posted her first wooden bear cutout, I was all heart eyes. I sent her a message and we started corresponding via Etsy and Instagram. Karie is SO sweet and genuine! Working with her was effortless. 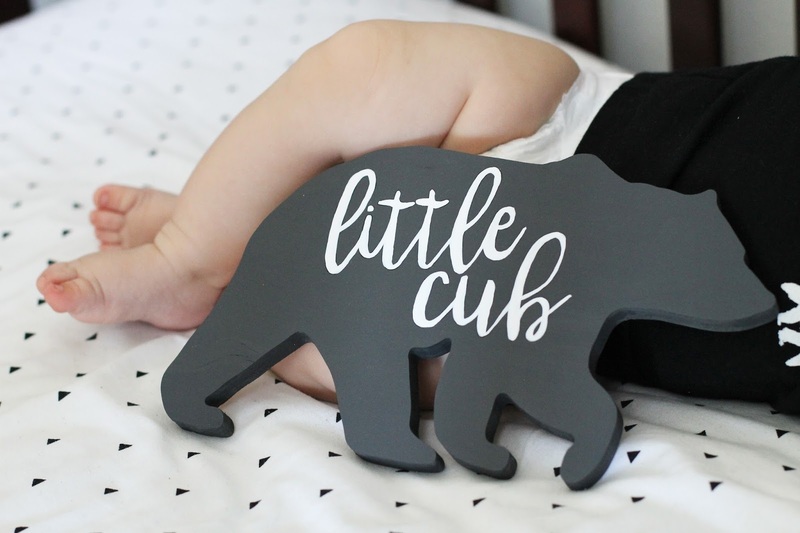 When I asked her to make me a bear that said "Little Cub" on it, I didn't have to worry about how the lettering would turn out because all of her work is stunning. 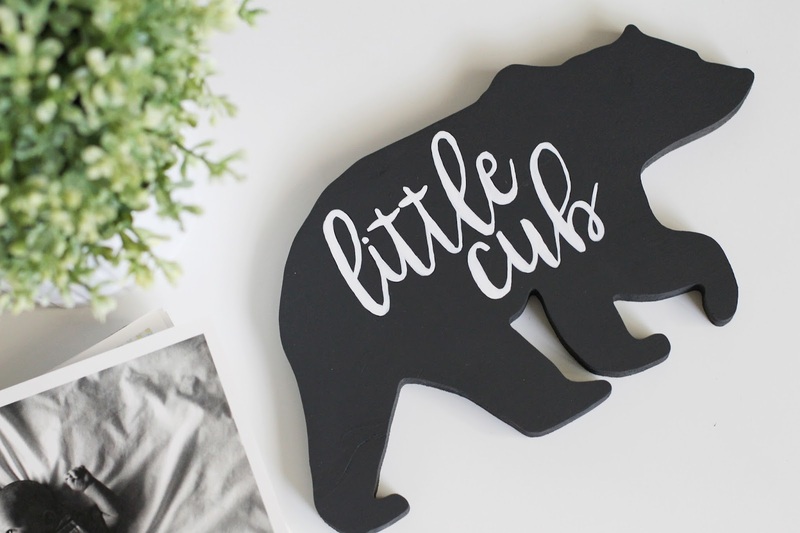 I decided to go with a black bear with white lettering because no matter what his bedroom decor changes into as he grows, it will always match, which is good because I'm getting all kinds of redecoration inspiration as a result of this "Little Cub" bear. 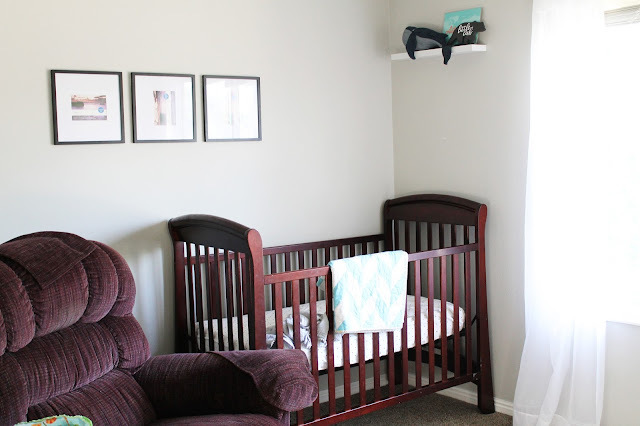 Plus, the nursery just kind of needs a little redecorating, like the second shelf on that wall. What? You don't see it? Oh, right. Because it fell off two years ago and I never put it back. also, the frames are empty, and I know the chair in the corner doesn't really match, but it is the comfiest chair there ever was. I will probably die in that chair. Karie has so much in her shop! There's a lot more wood work that I've been eying that I know you'll agree are just what your home needs, and guess what? I have a coupon code for you! Get 15% off of any item in her shop by using the coupon code "SUESNEWS" Make sure you say "Thank you Karie and Sue" at checkout! Now I've just gotta get to that redecoration inspiration that's been bouncing inside of my head! Oh! And P.S. 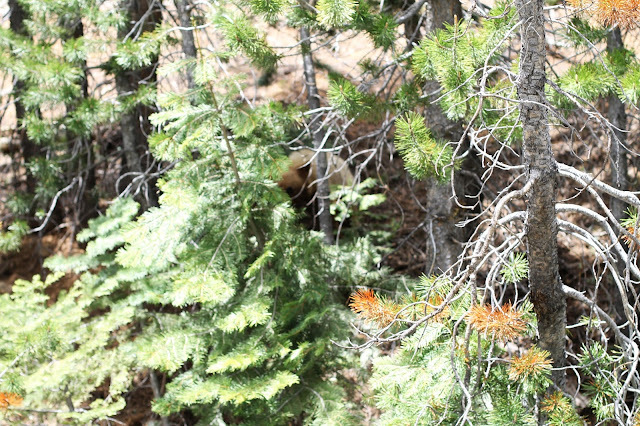 we totally saw a baby bear eating a baby deer on our way through Yosemite to our cabin. For reals. I have proof. Look. 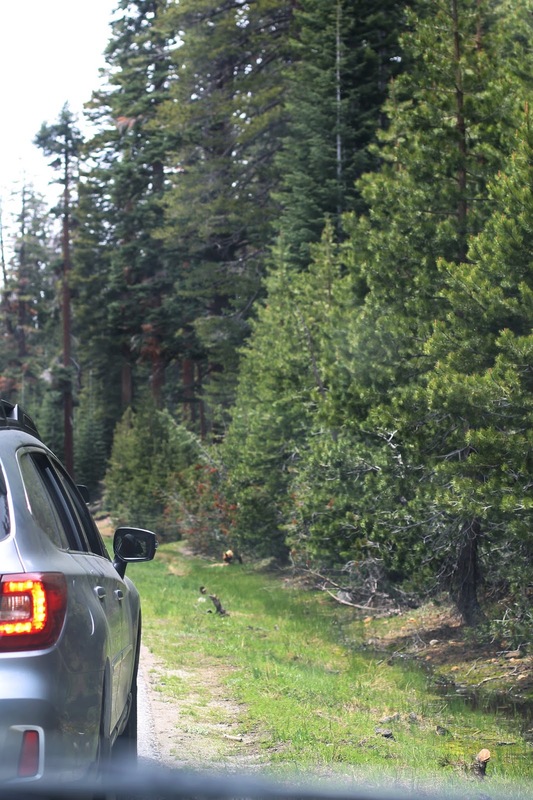 this crazy guy in front of us actually got out of his car to take a picture! 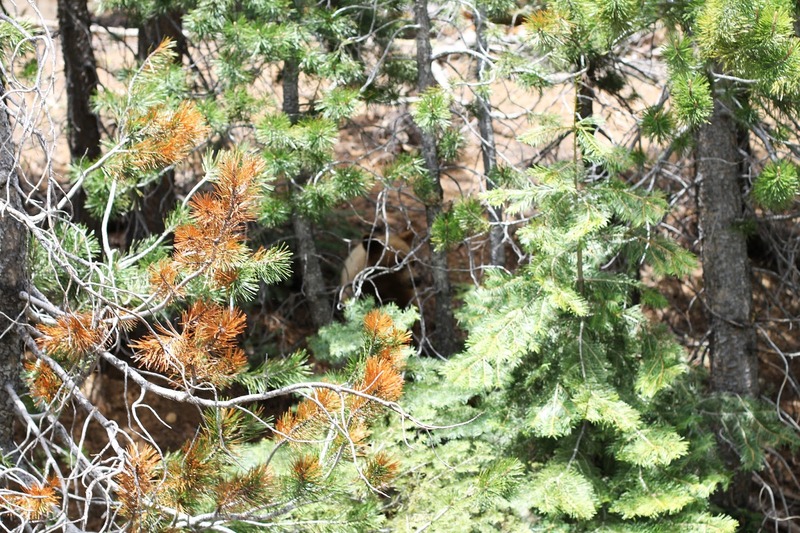 people... mama bear could be just behind another tree! At first I thought she was a fox, but when she turned around to hide from the crazy people backing up traffic to take pictures, I didn't see a tail, and then we got this close. 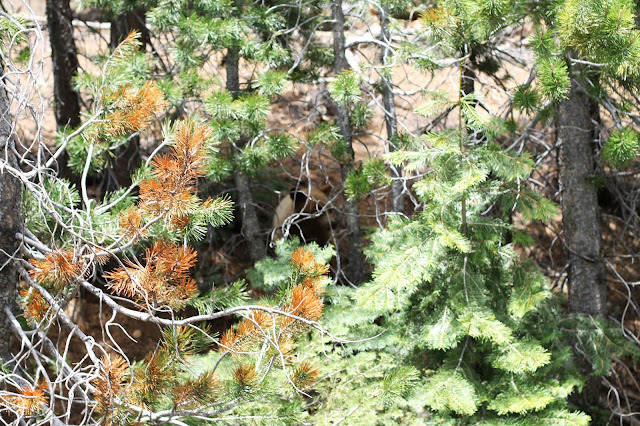 I'll post more pictures from our trip to Yosemite soon! Promise. In the meantime, go visit Karie at Desert Twig! This post has been compensated by Desert Twig. All thoughts and opinions are my own.